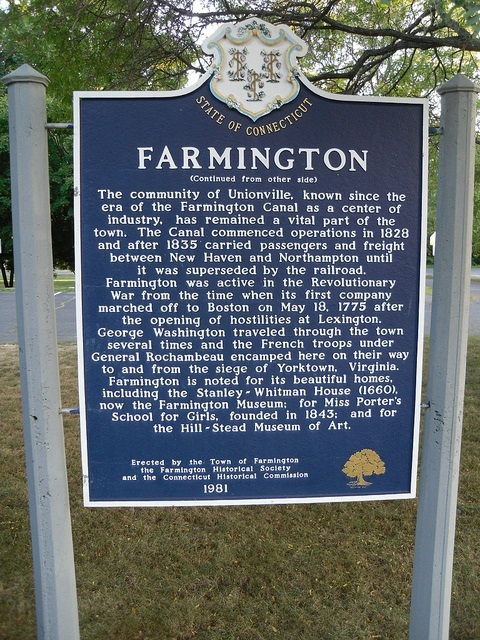 The Town of Farmington was incorporated in 1645. Known as the "Mother Town", Farmington was partitioned into the towns of Avon, Bristol, Plainville, New Britain, Berlin, Southington, and Burlington. This history is reflected in the Town Seal. Today, Farmington comprises 28.7 square miles along the Farmington River. Farmington is a residential suburb in the Hartford Metropolitan area that has retained its distinctive character through maintenance of its historic districts and careful land use planning for the future. Farmington has a Council-Manager form of government with a Council Chairperson as the chief elected official and a Town Manager as the Chief Executive Officer. Connecticut listings last updated Apr 20, 2019 2:36:am.